Bible Lesson: A rainbow isn’t just a beautiful part of creation. 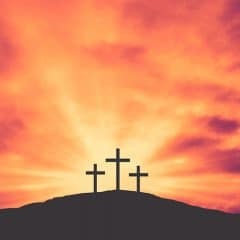 It’s a spectacular reminder of God’s involvement in our world and in our lives. Given as a promise to Noah and all people that God would never again destroy every creature with a flood, the rainbow stands as a reminder of God’s love, grace, and presence. 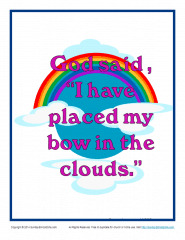 This scripture poster can turn every rainbow into a glorious reminder of God’s great love for us and should be placed on the child’s wall or mirror. For other related activities, see the related activity links below.